We had a wonderful time in our last workshop and are looking forward to our next time together in SHERMAN TEXAS!!! 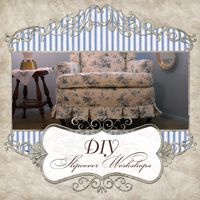 Please email me if you would like to have a DIY Slipcover Workshop in your home. We have the last weekend of April open and the 3rd weekend in May open! ROLL CALL: It can be only you, or you and up to 4 of your friends. FURNITURE: The piece of furniture must be small and light enough for you to comfortably transport and move around as you make the slipcover. MATERIALS LIST: You will need your sewing machine, serger if you have one, and your 100% cotton PREWASHED fabric. you will receive $10 off your tuition! 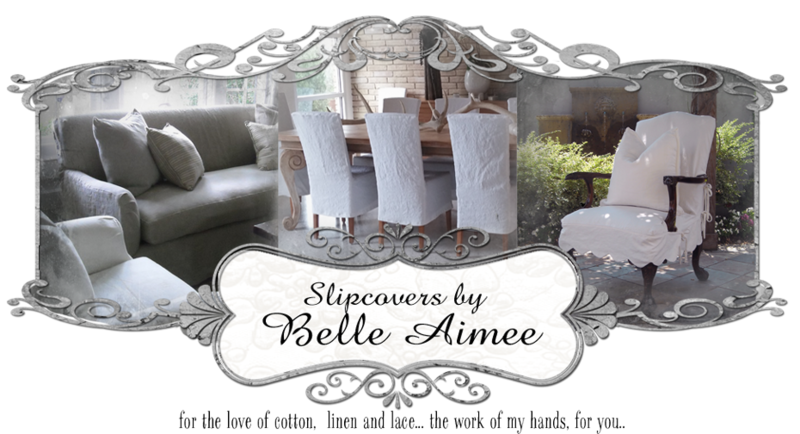 how to use your machine and basic knowledge of slipcover styles.